Injuries such as fractures, damage to tendons and cartilage are often classified as orthopaedic injuries and the resulting chronic pain and nerve damage can have severe and potentially lifelong impact on the lives of the victim. Orthopaedic injuries can occur as a result of motor vehicle accidents, slip and falls, as well as other types of accidents involving trauma. If the accident happened as a result of another party's negligence, you may be entitled to receive compensation for your injuries and it is important to speak to an experienced personal injury as soon as possible. 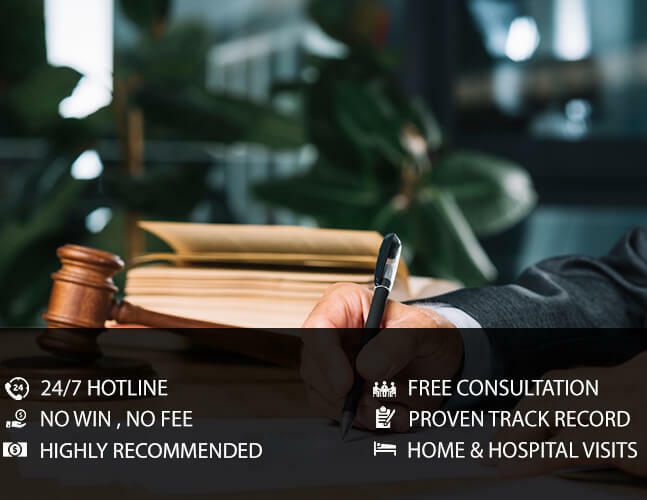 The legal experts at EBIL Personal Injury Lawyer have fought for victims of orthopaedic injuries from all over Southern Ontario and have recovered millions of dollars in compensation for injury victims and their families. If you or someone you know sustained a orthopaedic injury, contact EBIL Personal Injury Lawyer as soon as possible for a free consultation and we will ensure that you know what your rights and entitlements are, what we can do for you as a firm as well as provide you with valuable information and advice. Call us today and protect your rights.